Earthquake Prediction: 4.6R offshore Rhodes. A 4.6R earthquake was reported this morning some 66km South of Rhodes, Greece, at the location shown on the map. 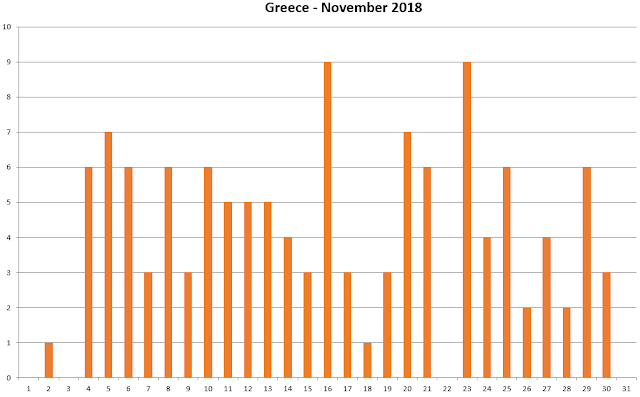 Our expected days of events published a month ago, for Greece is shown below and a spike for today is clearly there.